The Australian High Court in Sykes v Cleary ((1992) 176 CLR 77) found that a dual national may sit in Parliament where they have taken ‘reasonable steps’ to renounce their non-Australian citizenship. Whether the proper interpretation of the Australian constitution thereby covers situations where the person claims that they were unaware of their dual-nationality is not clear. Commentators have suggested that Mr Joyce’s legal success on this ground is neither impossible nor a foregone conclusion. What this blog post is interested in, however, is the discourse that Mr Joyce employed in defence of his position as a parliamentarian and what that may reveal about his own perception of the nature of Australian citizenship in the context of the Constitutional framework. Citizenship is generally a necessary requirement for apex political rights; voting and standing as a candidate for political office. Citizenship acts as a legal test of membership that qualifies the individual for these rights. Following the analysis of Linda Bosniak, it can be said that the grant of citizenship is the primary good that members of the national community can distribute to outsiders. Citizenship is a matter of formal legal standing within the national community, but one that ‘designates some form of community membership, either membership in a political community (political and constitutional theorists) or membership in a common society (the sociologists).’ Thus the apex political rights of voting and political office are reserved for those who have been granted community membership because only members should have a role in defining the rules of the community. On one view then, dual legal membership of two political communities should not make a difference to the exercise of apex political right. The extension of membership through citizenship indicates the community’s assertion that the individual has a valid role to play in the political institutions of the state, including elections through voting and candidature. In other words, citizenship is a universal legal status that once granted should entitle the individual to treatment equal to that of other citizens. Instead of an appeal to the universal status of citizenship, Mr Joyce relies on both his ignorance of his dual nationality and on extra-legal markers of belonging and connection to Australia; his birth (even through Australia has not issued citizenship on the basis of jus soli since 20 August 1986; Australian Citizenship (Amendment Act) 1986), his being ‘fifth-generation’, and his lack of tangible allegiance to New Zealand. In addition, by appealing to his connections to Australia he questions the rationality of holding him to belong to New Zealand rather than Australia, when his dual citizenship is by historical accident. He further seeks to broaden the question from one about his individual belonging by suggesting that if his belonging to Australia is suspect, then the belonging of many Australians should also be doubted because of the fact that ‘we were all British subjects’ until 1948. Mr Joyce’s justifications suggest that his understanding of what citizenship means is not just about legal status but perhaps more importantly about one’s actual belonging to the nation. But the wording of the Australian Constitution puts Mr Joyce in a difficult position. Dual nationals could be said to always be entitled to the rights and privileges of both citizenships, especially as many of the rights and privileges are passive; his right to reside, work and vote in New Zealand are his for the taking should he wish to. Other rights of citizenship remain passive and dormant for most citizens except in times of emergency; for example as a dual national of New Zealand, Mr Joyce could claim consular assistance from the New Zealand authorities abroad should he be refused or be unhappy with such assistance from the Australian authorities. Should he be required to leave Australia for reasons covered by the Refugee Convention, Mr Joyce could enter New Zealand as a citizen rather than have to apply for asylum. That he will probably never have cause to use these rights or privileges does not mean that he is not entitled to them. Because of this, ignorance of his dual citizenship status may not be sufficient to absolve Mr Joyce of disqualification. Mr Joyce’s statement suggests, however, that he does not view citizenship as a technical legal status defined by the rights and privileges he may be able to enjoy, but instead as a matter of belonging and community membership. Section 44(i) of the Australian Constitution has been described as being ‘designed to ensure loyalty to Australia from elected representatives’. Mr Joyce’s argument is essentially that it is irrelevant that he is legally a dual national; his true identity and loyalty is that of an Australian. This appeal to Australian identity may not be sufficient to qualify Mr Joyce to his parliamentary seat. The constitutional text is disjunctive; ‘Any person who is under any acknowledgement of allegiance obedience or adherence to a foreign power, or is a subject or entitled to the rights or privileges of a subject or a citizen of a foreign power.’ To my mind, this suggests strongly that dual citizenship may be a proxy condition for assessing a person to be loyal to Australia or whether, in the terms used in the Constitution, they have ‘obedience or adherence to a foreign power’. As a proxy condition, dual-nationality is thereby sufficient (although not necessary) evidence that a person has obedience or adherence to a foreign state and is thereby excluded from the right to parliamentary office in Australia. Mr Joyce’s statement argues instead that the assessment of obedience or adherence to a foreign power should not be assessed by reference to his de jure citizenship status, but instead as a de facto condition which he can rebut by reliance on his substantive connections to Australia. Mr Joyce essentially argues that the constitutional provision should be interpreted to be conjunctive; that one must be a dual national and hold subjective obedience or adherence to a foreign power. That the Australian Constitution is fundamentally concerned with its parliamentarians’ loyalty to Australia rather than de jure ties – and thus the conditions ought to be interpreted conjunctively – also makes sense in the context of the exception established by the Australian High Court case of Sykes v Cleary that the constitutional disqualification does not apply where ‘reasonable steps’ have been taken to renounce the non-Australian citizenship. A dual national adjudged to have taken such steps may still sit in Australia’s Parliament even though they continue to enjoy the passive rights and privileges of their non-Australian citizenship, and even though they may (theoretically) be called to serve the other state, for example through military service. The Court in Sykes v Cleary was not therefore interested in whether or not the prospective Parliamentarian could be called to fulfil such obligations to the other state, but was instead concerned with how they would respond to that call. The ‘obedience and adherence’ of a dual national to a foreign state on this interpretation is a matter of degree. Should the Australian courts find in favour of this interpretation of Section 44(i) of the Australian Constitution, it raises the possibility for other dual nationals to claim entitlement to Parliamentary office on the basis that their obedience and adherence is to Australia, notwithstanding their concurrent enjoyment of the rights and privileges of the citizenship of another state. 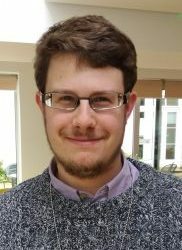 Jonathan Collinson is a PhD student and Postgraduate Teaching Associate at Birmingham Law School, University of Birmingham. “Section 44(i) of the Australian Constitution has been described as being ‘designed to ensure loyalty to Australia from elected representatives’.” This was the mistaken description of a journalist writing in The Guardian, Australian Edition which has no basis in history or constitutional law and is of no assistance in a consideration of the current woes of many members of Australia’s Parliament. Section 44 appears in The Commonwealth of Australia Constitution Act 1900 (63 & 64 Vict. Cap 12), an Act of the UK Parliament (House of Commons, House of Lords and Queen of the United Kingdom of Great Britain and Ireland). It was designed to ensure loyalty to the United Kingdom of Great Britain and Ireland from members of the Australian Parliament. When enacted, the reference to “foreign” in “any person who— (i) Is under any acknowledgment of allegiance, obedience, or adherence to a foreign power, or is a subject or a citizen or entitled to the rights or privileges of a subject or a citizen of a foreign power … shall be incapable of being chosen or of sitting as a senator or a member of the House of Representatives” was to be read as “foreign to the United Kingdom”. Australia was not then a power by reference to which a person’s foreignness could be judged. The divisibility of the Crown was far into the future and even further away was the 1999 decision of the High Court of Australia in Sue v Hill that the UK was a foreign power for the purposes of the section. Rather than being ‘designed to ensure loyalty to Australia from elected representatives’, it was by the miracle of judicial interpretation that section 44 evolved to ensure loyalty to Australia from elected representatives in a manner unimagined by those who designed it. How the meaning of section 44 will further evolve must await further judicial miracles yet to be handed down by the High Court in the multiple cases presently before it. This entry was posted on September 21, 2017 by Constitutional Law Group in Australia and tagged Citizenship.